How to make Brussels sprouts delicious *without* having to add bacon. An impossible task?? Not really. 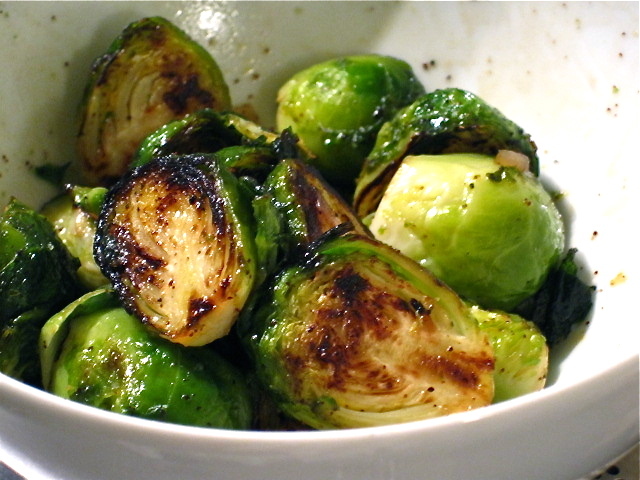 Just boil the sprouts with their stems trimmed to semi-tenderness, then sauté them, halved, in olive oil, chili powder, and a little bit of minced french shallot. When lightly browned, transfer to a serving bowl and toss with fleur de sel and maple syrup to taste. 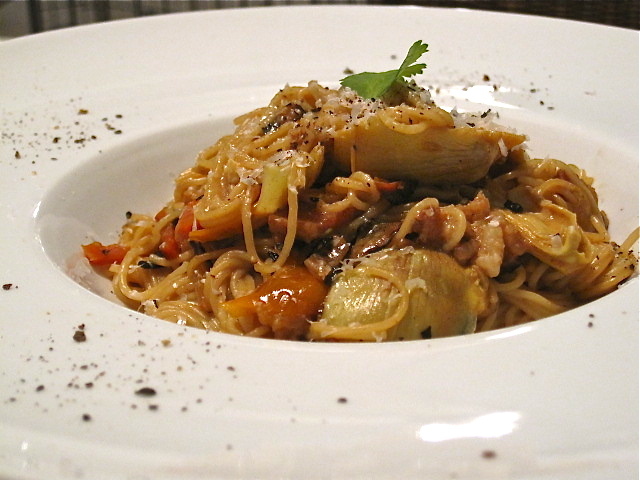 I give you: “Brussels d’Érable.” Miam! Accompanying this verdant excitement is a weeknight angel hair pasta toss of onion, french shallot, minced carrot, baby tomatoes, artichoke hearts and bacon (yes), deglazed with a bit of Marsala wine and a touch of cream. Dusted with parmesan and served up on a pretty platter. Mmm!